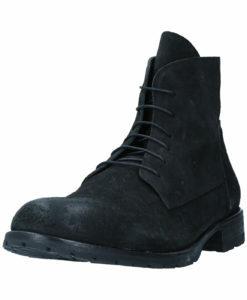 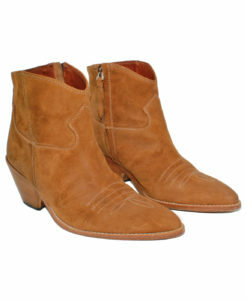 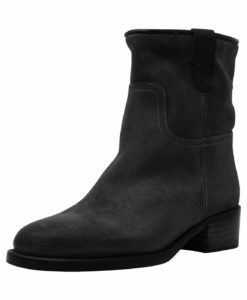 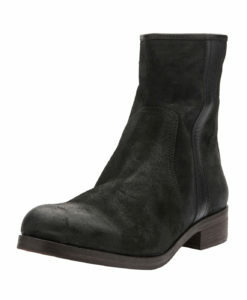 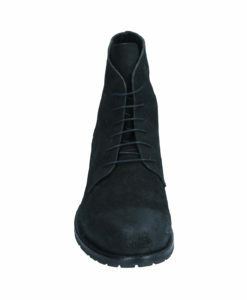 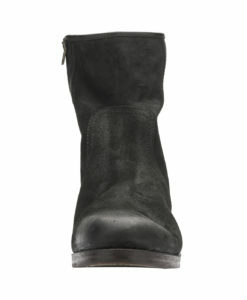 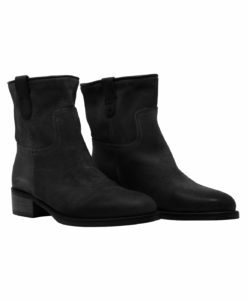 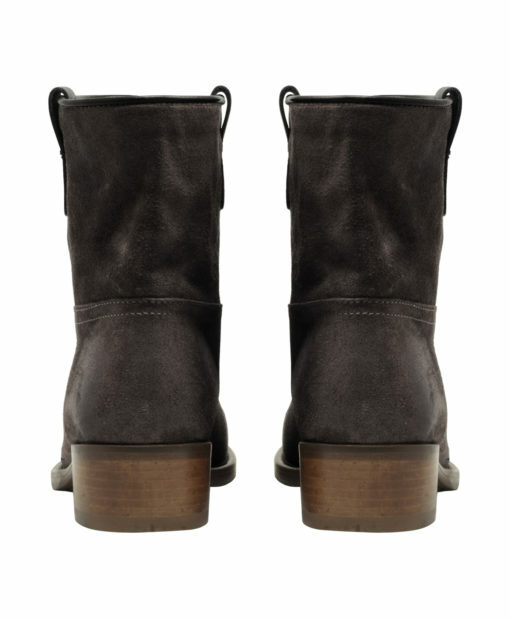 Iconic boot with round toe and low heel. Raw materials of Italian origin. 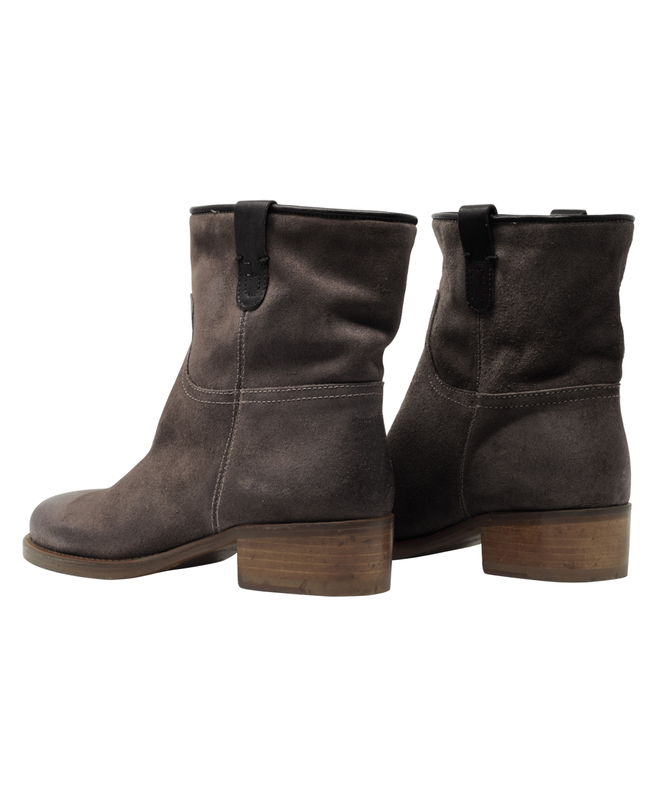 Bootie, the casual boot suitable for any occasion. 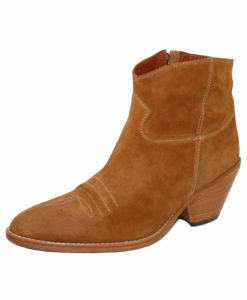 Classic and exclusive, Bootie writes the history of the El Campero style. 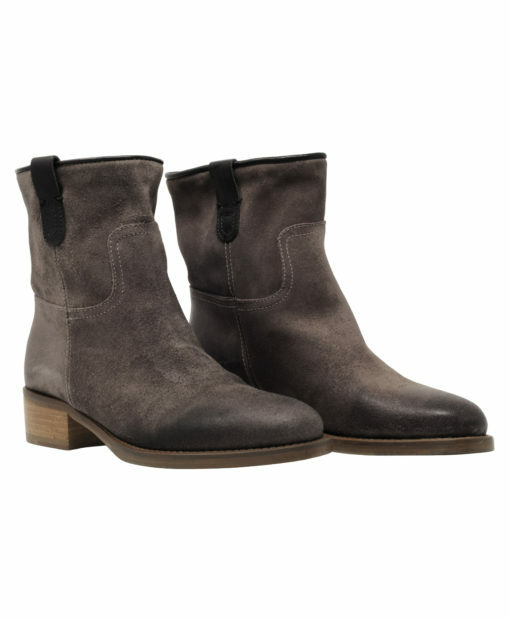 Bootie fit is cozy and comfortable; the low heel gives the plant a comfortable and correct position, while the rest of the shoe adapts to the foot thanks to the naturally tanned leather; ecological and durable material. 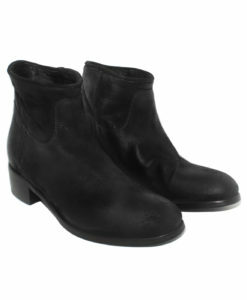 The particular stitching, which follows the ankle line and the bootstraps, are details that make Bootie unique and unmistakable, boot with aggressive and decisive lines, enriched by touches of style. 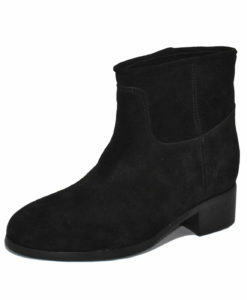 Bootie is an iconic model of the El Campero brand, its classic but strong lines make it a shoe of character; made to not go unnoticed. 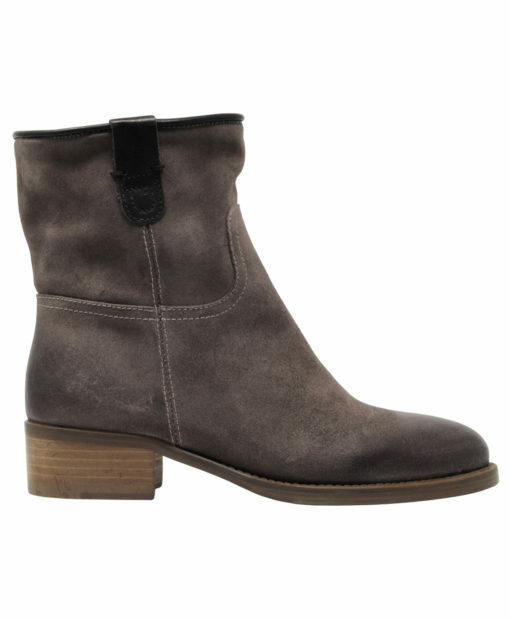 Bootie adds style and character to outfits suitable for any occasion. Bootie is available in hazel, dark brown and black suede. 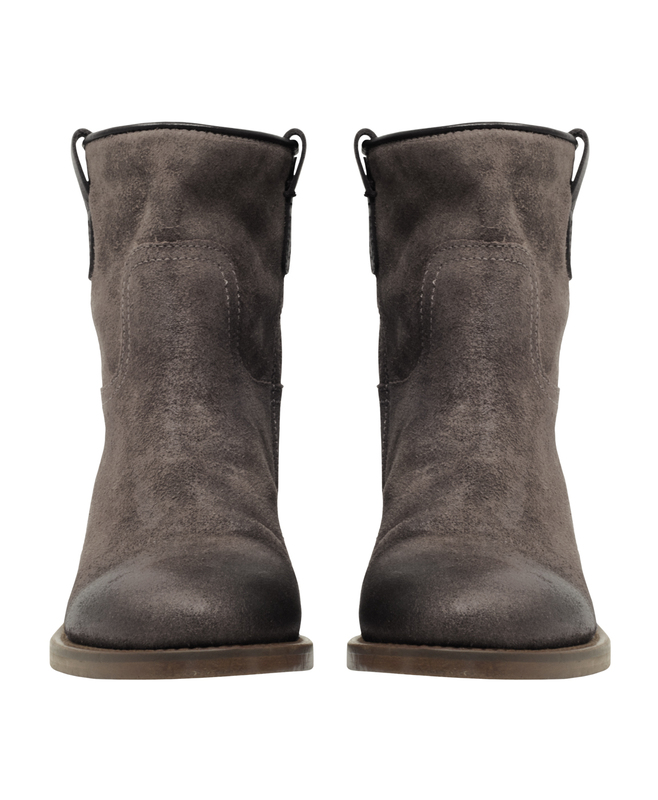 Created by Tuscany Consulence | © 2019 All rights reserved Original Campero!